Welcome to the Full Moon! For this fire we will focus on healing the body. Perhaps you have “tried” everything, and have found no relief. Tonight we go into the deeper spiritual reasons why illness occurs, and sit in a sacred drumming and sound healing to clarify, heal, and restore the deeper channels within causing illness. 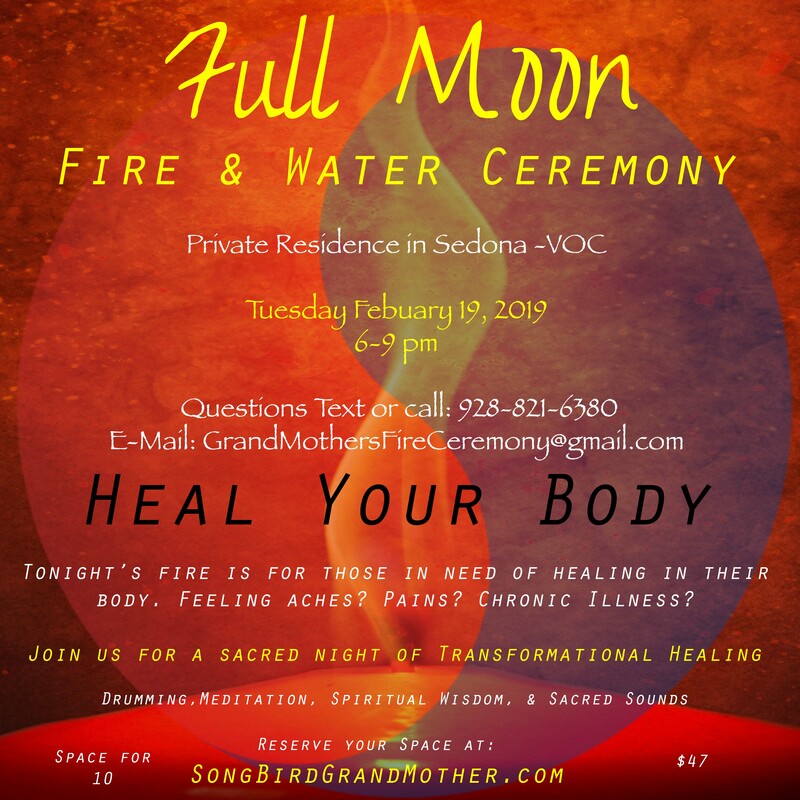 Go deeper into the fires of your health, and release the energies blocking your flow, while receiving inward guidance on how to heal your body naturally. This is an indoor fire. There is a cat at this residence for those who are allergic. Address given when your ticket is confirmed. Song Bird Grandmother, I follow all of the 13 Grandmother’s posts and though I live in N. Calif and don’t have a vehicle, I will be praying singing my medicine songs and shaking my tushka for y’ll at the ceremony. Great Spirit bless you in all your workings! Ekosi, A’Ho!